We are your leading local damp experts, providing effective damp proofing solutions for commercial and residential properties in Southampton. We are a family run business with over 30 years of experience tackling your damp problems and providing damp repair services. 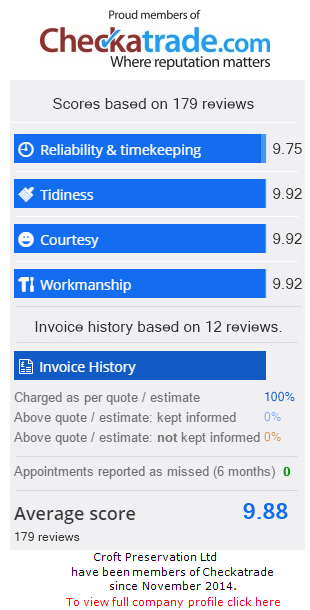 Through the consistent delivery of exceptional customer service, we have built an outstanding reputation as damp experts in the region. Does your property require the assistance of our damp experts? We can help you fight all types of damp, including rising damp, penetrating damp and condensation. Contact us today on 01202 737739 to book a damp survey with a friendly member of our team! WHAT PROBLEMS DO OUR DAMP EXPERTS COVER? We can also help you with other damp related property preservation issues, including woodworm treatment, replacement cavity wall ties, damp proof course repair and replacement, and basement tanking. Whatever your damp problem, our damp experts are on hand to help! Contact our damp experts in Southampton! As professional damp experts, we highly value honesty and will be the first to give you an honest evaluation of your damp problem and the necessary steps required to rectify it. We will always inform you of the most cost-effective solution, so you don't need to worry about any hidden costs when working alongside us. We put our customers at the heart of everything we do, providing the perfect damp proofing solution to meet your needs. Our damp experts are qualified and eager to help you tackle the damp problem affecting your home. Contact us for a quote on 01202 737789.